Sydney is blessed with an abundance of public land lining the harbour’s edge allowing us all access to explore the foreshore. 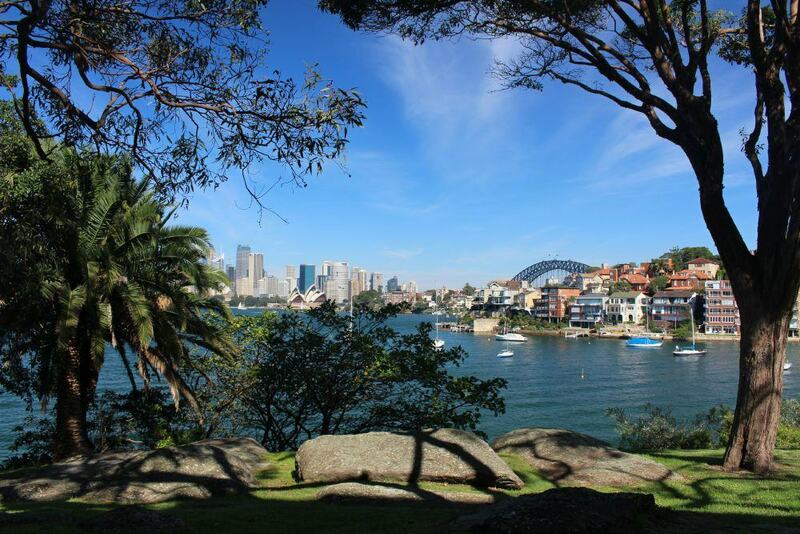 This Cremorne Point Walk is one of the most accessible city walks to reach and a lovely place to spend a few hours just soaking up the views. You can complete this 2km walk in one hour or so, longer if you wish to stop to enjoy the view or stroll through the gardens. 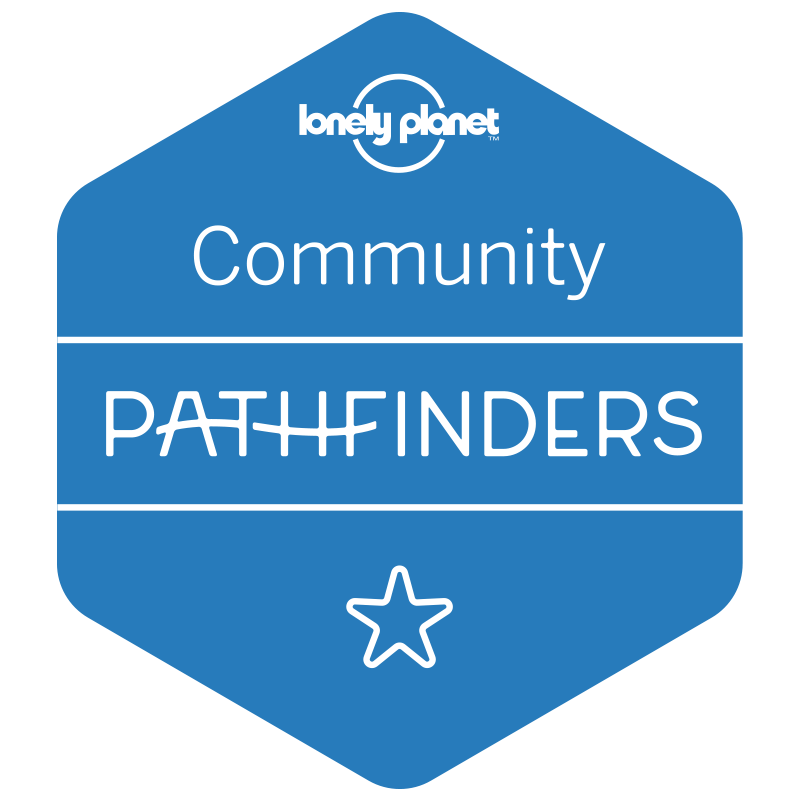 Why you should do this walk. 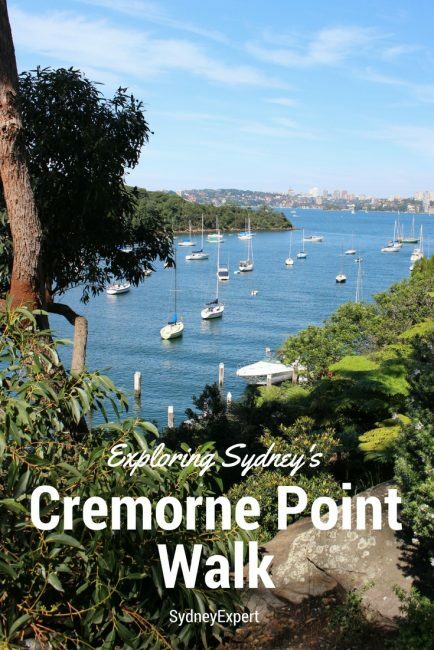 Do you have any tips to share about the Cremorne Point Walk? When you exit the ferry head to the left and walk along the foreshore so you can take in the view and check out the picket-fenced swimming pool before going to Cremorne Point Reserve. 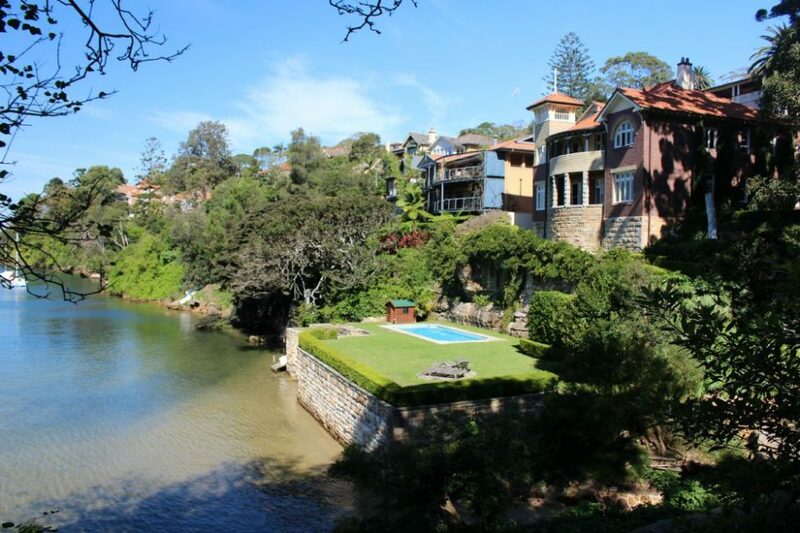 Originally a rock pool created by former Olympic swimmer Fred Lane the first version of the pool was built by local man Hugh MacCallum in the 1920s. These days there is no entry fee, and the pool is open most days except when being cleaned. The North Sydney Council website lists the closing dates. The path is lined with large houses mostly built between 1910-1930. 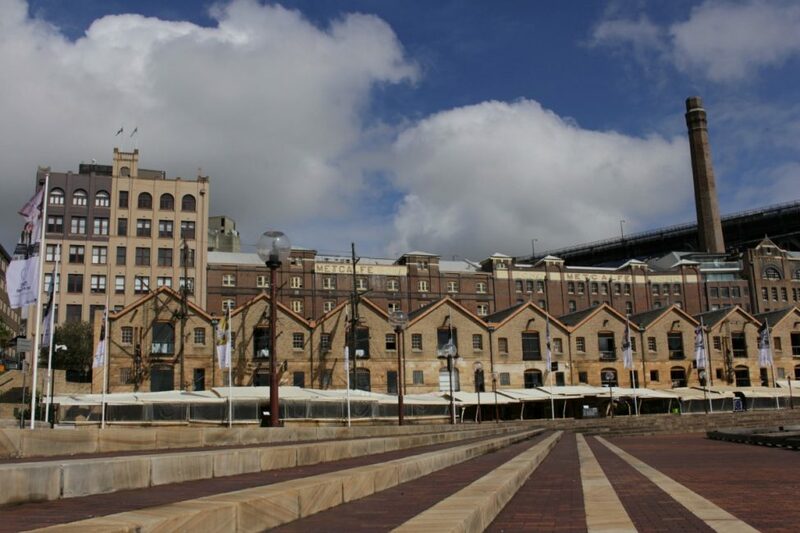 In its early days, the area attracted residents who favoured more unique building styles than existed in Sydney at the time. Some of these large homes have now converted to apartments. With views like these, the hefty price tag on rentals does not seem to put people off. To rent a three bedroom apartment in this area will set you back approx $1000 a week! The reserve once housed the Cremorne Pleasure Gardens which operated from 1856 to 1862. A small ferry brought visitors from Sydney over to enjoy an afternoon or evening in the dance hall, riding the carousel, or showing off their skills with archery and pistol shooting. The gardens attracted people who wanted to escape Sydney for the night to let their hair down. 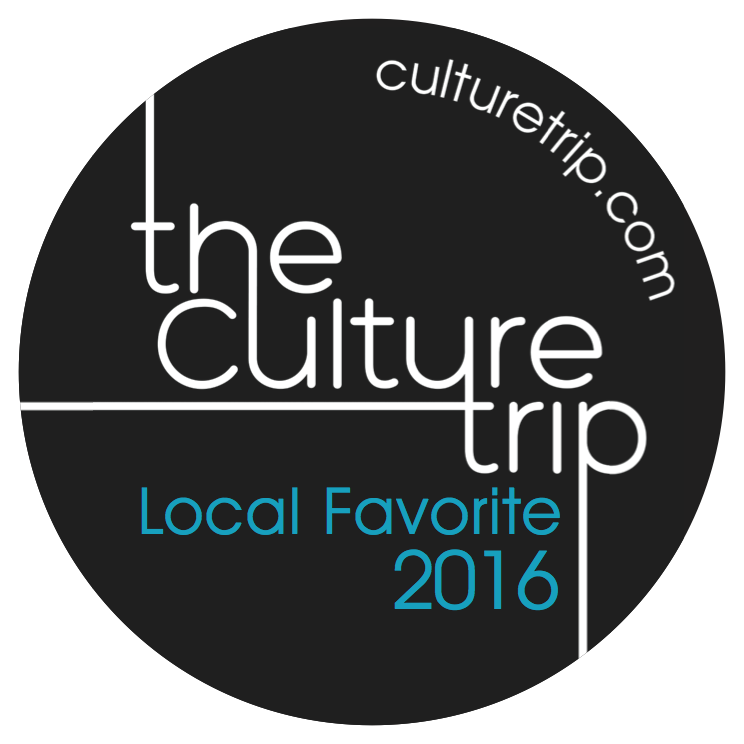 It closed after locals complained about the debaucherous behaviour and its popularity waned. Sound familiarly like our current lockout laws have a bit of history. These days you are more likely to find kids playing on swing sets and picnickers enjoying the view. Next up on the path, you will come to an area of well-planted garden beds leading down to the harbour’s edge. 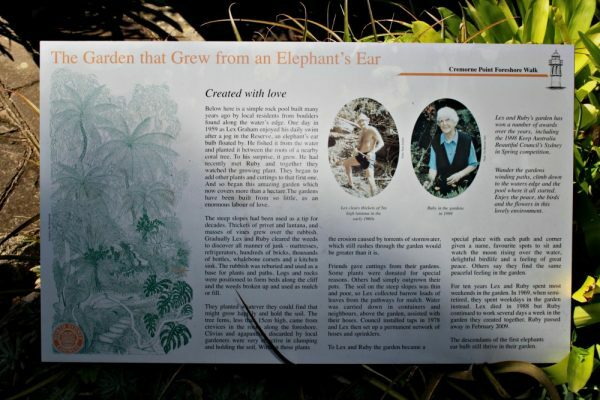 A local couple, Lex and Ruby, built these gardens in the late 1950s and today they are maintained by volunteers. They stretch to the water’s edge, and there are lots of small trails that crisscross the garden to explore. Back on the tracks and the impressive homes just keep on coming. This one is my personal favourite! What I wouldn’t do for a backyard like this one! With its stunning waterfront location, Mosman Rowers is a perfect place to stop for a quick drink – or just to stay 🙂 have a long lazy lunch and eventually head back to the ferry. 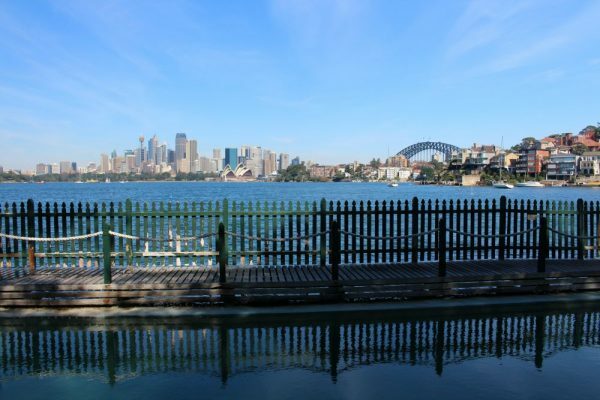 Either of these will get you to Cremorne Point Wharf. However if like us you miss them and don’t fancy waiting 30 mins for the next one you can take the F5 to Neutral Bay and get off at Kurraba Wharf. 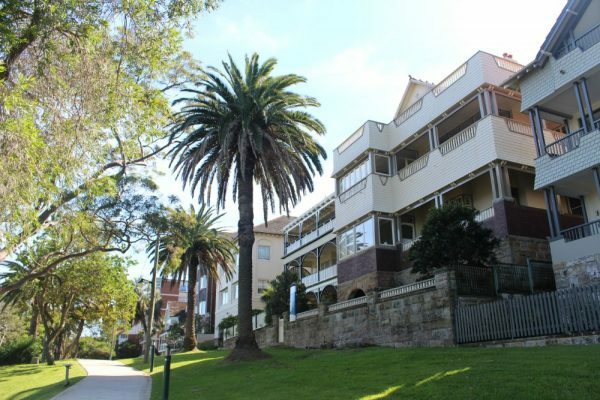 From here it is slightly longer walk with some steep hills to raise the heart rate, but it allows you to explore the full extent of Cremorne headland. Return to the Quay from Mosman Bay Wharf. Feel like walking a little longer. 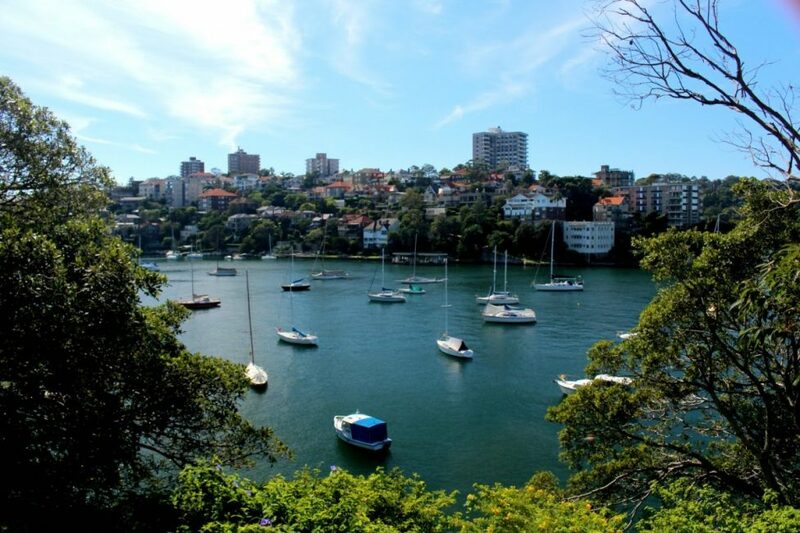 You can continue from Taronga Zoo to walk around to Bradley’s Head, Clifton Gardens or Balmoral Beach for more amazing views and some great food. This is my favourite Sydney walk. I used to do it regularly when we lived nearby. Great guide packed with useful information. Oh wow, the views! 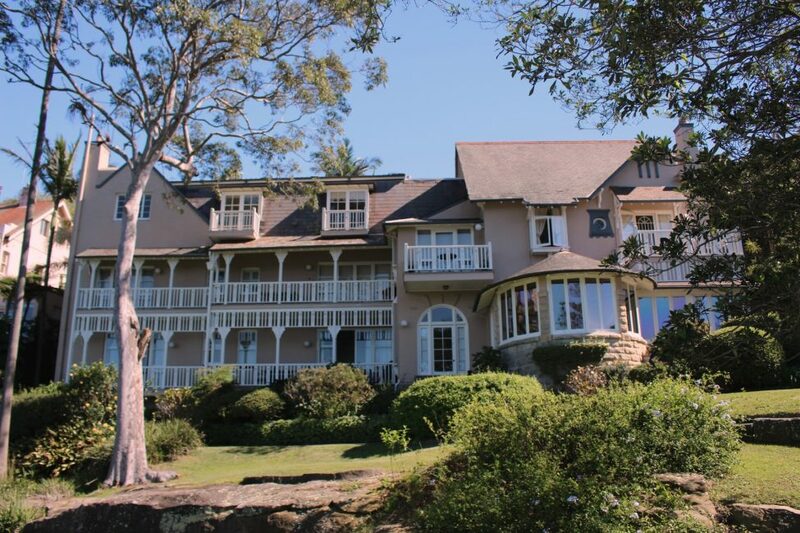 Can you imagine not just an apartment but having the whole of one of those harbourview houses? And that back garden with little pool in the lawn, that looks amazing! Wow, I would get a serious case of ‘house envy’ if I walked along there. It looks like the sort of place where I WOULD go though, there’s so much detail in your guide. I came home and starting looking at rentals along the route quite seriously for about 30 mins and then remembered I really like traelling so I better stay put! This looks like a fab way to build an appetite before dinner or drinks in Sydney. It’s ages since I’ve visited and we were far too lazy to walk but would be more keen to do this if I were to return now. I totally want that backyard with the pool and the amazing view! But I think I’d need a little more shrubbery for a bit of privacy. Would love to do the Cremorne Point Walk; part of Sydney we haven’t experienced yet. 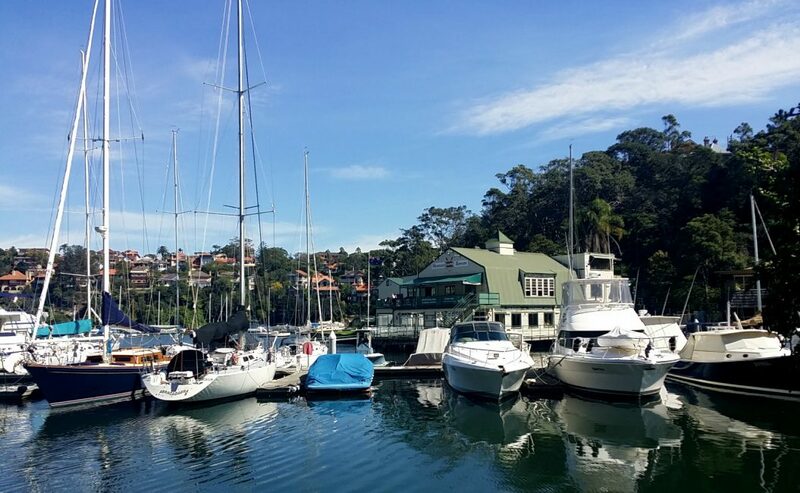 We’re based in Canberra so only a short 3 hour drive – have a two day escape planned for March, so will aim to jump over to Cremorne Point Wharf – thanks for the tip! I hope you can Megan – try to go on a weekday too if you have a chance – bit more peaceful then. That is such a nice walk. It’s crazy how much rent costs in “normal” housing in Sydney these days… let alone suburbs like Cremorne! I know – it’s criminal – but if you get a couple of blocks back from the water it’s almost the same price and things in the inner suburbs. Wow, those houses are gorgeous and the views are amazing–great pics! The Lex and Ruby Graham Gardens look really great too. Looks like a perfect spot for some amazing photos! What a lovely walk! I want to buy one of those houses. Could you imagine waking up to that spectacular view every single day? 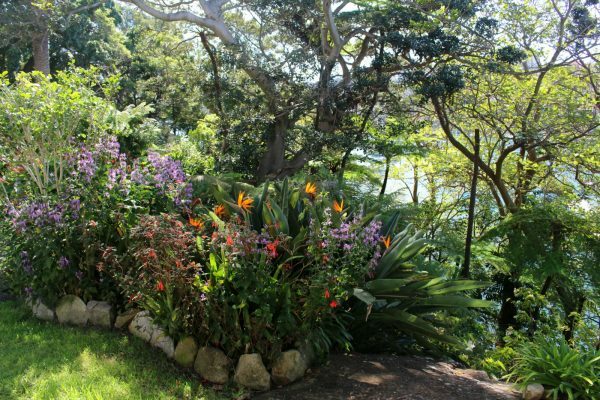 I have never been in Australia and had no idea that Sydney has such beautiful greenery! How relaxing morning walks on that waterfront path could be! Lucky are those who live there. What a beautiful and quaint little walk in the bustling, tourist heavy Sydney Harbour. It’s so nice to see that Lex and Ruby’s gardens are still being maintained by volunteers, but be very peaceful over there. 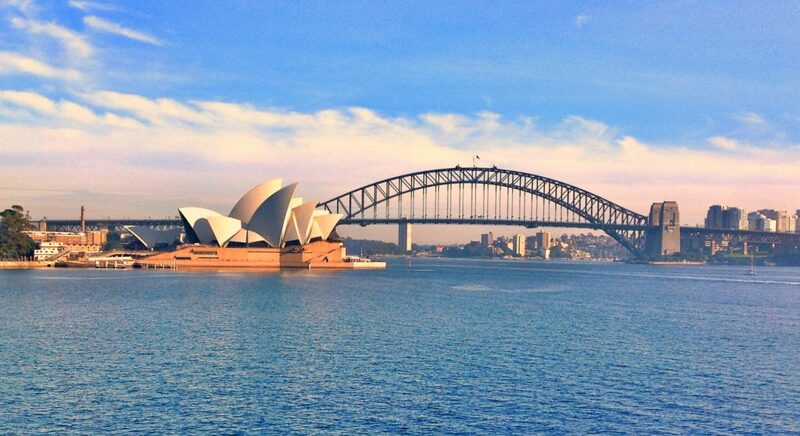 I think we will do this walk on our next visit to Sydney, looks awesome, and it includes a ferry ride. I love to get out on the water. Fantastic guide! I love the photos and the tips. I have tried this route a couple of times and I always end up staring at the sceneries. Those homes and the views are simple too amazing to ignore.